I think our most recent period drama procedural (Cadfael) may not helped the case of period dramas for my husband. For me, a historical drama with an interesting premise is always a welcome diversion – so I was pretty pleased to see Garrow’s Law come out of the random choice bucket. 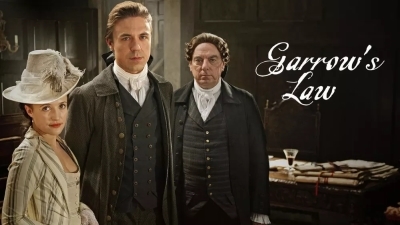 In a nutshell, Garrow’s Law is a legal drama set in Georgian England with a central character based on lawyer William Garrow. It is worth noting that there is quite a bit of creative license taken when bringing the cases to life (a lot of them based on real trials) as Garrow was not the defender on all of them. In fact, there is one where he was actually the prosecutor – but I get why they did this. In the end, Garrow is a worthy avatar for the pioneering works of English law being depicted in the show. Through the three series of Garrow’s Law we follow two main story threads. Firstly there is the education and rise of William Garrow from young upstart to a respected and influential lawyer. Alongside that is the turbulent (and initially chaste) romance between Garrow and Lady Sarah Hill (which is, again, done with some creative freedom although they did marry in real life). Being only 12 episodes long, there is no opportunity for the legal stories to become repetitive or stale. This is thanks in part to the real life cases (such as the failed assassination on the king) being mixed in with fictional cases that were inspired by cases of the period. Whilst the story of Garrow and Sarah is compelling, especially in the third series, it is these legal cases that really make this show brilliant. It also helps that there is pitch-perfect casting for all six of the main roles. Andrew Buchan is brilliant as Garrow and has to do quite a bit to keep us supporting his headstrong hero even as he veers a bit too close to being sanctimonious. Aidan McArdle works brilliantly as the opposing lawyer Silvester and really helps to bring that extra bit to the court proceedings. I also cannot understate how good Lyndsay Marshall is as Sarah. Her journey through the show is pretty staggering and boy does she bring it. The cancellation of Garrow’s Law after series three was sad as they were setting up some interesting new dynamics should the show have returned for another year. In some ways though, it was good to end on a bit of a high and have a lot of the main story threads sown up. Now, it might be a while before I cross off the next TV show as, thanks to this list, I have a lot of shows that are partially watched. It’s time to clear out some of this backlog before venturing forth – shouldn’t complain though as this list really has given me the impetus to watch shows that I have been putting off for years. It’s taken my about seven years to reach the point where I’ve seen enough episodes of Six Feet Under that I could mark it off as done. I first started watching it when it was part of the Sky Atlantic launch line-up and… I guess I just stopped. Other shows came and went between then and now. Honestly, I’m not sure why it took me so long to return. If I’m being honest, even if it wasn’t for all the good critical notice around Six Feet Under I would have probably ended up watching this at some point. I mean, come on, a black dramedy set in a funeral home featuring Michael C. Hall (loved him in Dexter), Peter Krause (loved him in Parenthood and Sports Night), Rachel Griffiths (favourite part of Brothers & Sisters) and Frances Conroy… at the very least it would be interesting. Six Feet Under is beyond interesting, it’s an excellent show and I really wish I had restarted it sooner. Not only is it interesting from the LGBT perspective because it was one of the first shows to show a gay couple going through what it can mean to be a couple. Things aren’t plain sailing for them, but I’m not sure how often that level of a gay couple’s commitment to each other through the trials and tribulations of being a couple had been put on the small screen. It’s probably a bit of a red herring to bring this up as the first thing to talk about for Six Feet Under. Whilst David’s LGBT journey is part of the show and an important part of his character arc – he is one of a number of major characters who all go through some serious development. The dark humour aside (of which there is a whole load of) the thing I really love about this show is watching the journey of the characters – especially Ruth as mother of the show. As with most shows for the 1001 list, I am writing this up having seen a section of the episodes rather than the whole show. 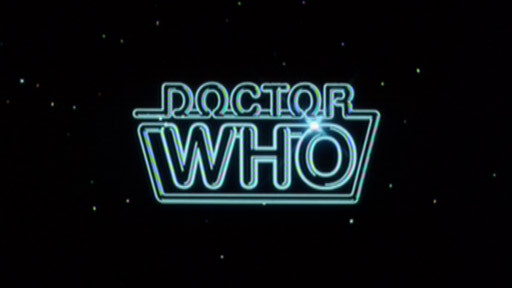 However, I can categorically say that this is a show I will be continuing on watching until the end… which means there probably won’t be another TV post for a while as I really need to start clearing out this very large backlog that I am accumulating. How do you do a crime procedural without being able to rely on modern science or a suddenly stopped timepiece? This is the question that drew me to Cadfael as the next show for the list. It helps that the excellent Derek Jacobi takes the titular role and that I have actually read one of the Cadfael books. 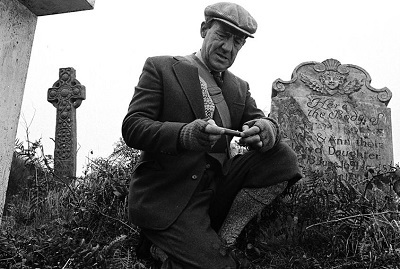 In bringing this series to the screen ITV opted to turn these novels into feature length episodes, which meant each series featured 3-4 episodes. This follows how ITV had chosen to adapt their flagship detective series Inspector Morse. Thing is, at least for me, the choice to make these feature lengths did more harm than good. With the exception of “A Morbid Taste for Bones”, which was a really good episode and should have been the one singled out in the book, this is a show that really suffered with some pacing problems. It would repeatedly happen that an episode would reach what felt like a conclusion… only to then have half an hour left. Seeing how these were all based on books I know that there was enough material for them to go on, but it just didn’t seem to translate. Similarly, at least in the earlier episodes, there appeared to be a real disconnect in how this show wanted the acting to be done. Some were modern, others bordering on a Shakespearean style. The only actors who didn’t fall into this trap were Derek Jacobi (obviously, he is a treasure) and a number of the regular actors who played members of the Benedictine order. There is something quintessentially English in the idea of having a series of stories about a medieval monk solving murders. Aside from the number of times they inexplicably found flowers on the corpse (or at times in the corpse) it was interesting to think on how crimes would have been solved back then. 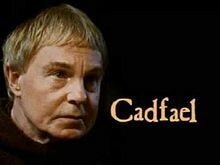 For that alone Cadfael has been an interesting watch. However, that alone isn’t enough to keep you entertained for 75 minutes when there are some major third act problems. I really want to go to South Korea. I mean I really want to go to South Korea. It’s been on the wish list for a long time, but now I’ve gotten an extra dose of Korean culture with a mix of Kpop and this amazing show the yearning has increased about a thousand fold. Honestly, I’m not sure if I’ve ever come across a show like Infinite Challenge – but I guess that the closest would be Top Gear. However, unlike Top Gear, there has yet to be an occasion where Infinite Challenge has sent me to sleep. In fact, I don’t think I have come across an episode of this where I have not been laughing out loud. 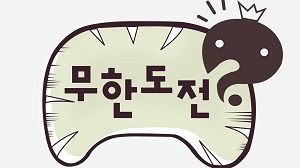 In essence, Infinite Challenge is (or was) a weekly show where the hosts take part in various challenges or extended comedy bits. Sometimes there are themed episodes (such as the well received Saturday Singers episodes) which fall outside of this, but for the most part it is a show where you can laugh at lovable hosts doing weird things. Given the huge number of episodes (and that most of the early ones can’t be found on video sites with English subtitles) I watched a smattering of episodes from 2014 and 2015. This episodes with extreme part time jobs, cheerleading, daycare centres, a bonus-themed chase and their annual lunar festival celebrations. I am already looking forward to devouring plenty more of these in the future, especially to see how far the cheerleading goes. The producers of this show deserve so much praise for getting the concepts together to make this as interesting as it is, but it wouldn’t have been funny if it wasn’t for the hosts. Over 10 years there have been a number of hosts, but there has been a central six (pictured) who were with the show for over 9 years (with three being hosts for 13+ years). As with all things, the chemistry between the hosts is incredibly important – and this group have it in spades. The quickness of the wit and the ability to ad-lib in frequently ridiculous situations just makes this show a joy to watch. Of course I have favourites to watch (Jun-ha being the host in particular who always steals my attention), but they work so well together. Watching this you do feel that you are watching a bunch of friends hanging out and taking part in challenges together. Episodes like the one where host-in-chief Yoo Jae-suk tries to catch-out the other hosts by seeing if they would go out drinking the night before recording – well it helps to reinforce that, once the cameras are off, they might hang out occasionally. A book containing 1001 TV shows is likely to contain shows that have been on the ‘to watch’ list for many years. For me, there are fewer shows that have been on this list longer than Twin Peaks (Buffy the Vampire Slayer predates it by a few years). I cannot count how many people have recommended this show to me over the years, especially since my screen name comes from Dynch’s later film Mulholland Drive – so here goes. Twin Peaks is one of those shows where it felt like I would really do it a disservice if I did my write up at episode 20, like I do with other shows. Thanks to other people helping to manage my expectations, I was aware of the dip in quality part way through season two. So I watched the entire original run of Twin Peaks and was left with so many questions and a newfound respect who can learn how to speak backwards. 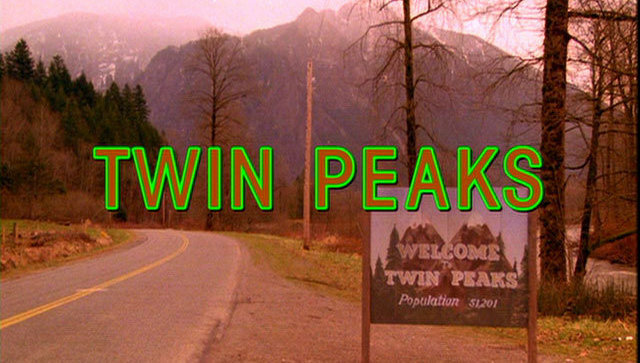 So many books and articles have been written about Twin Peaks, more than the average TV show. For a show that only had an original run of 30 episodes it really has been a constant source of inspiration and interpretations. Anyway, let’s back up a bit. For the uninitiated, Twin Peaks is a mystery series from the early 1990s that has a incredibly strong supernatural presence. It all begins when the body of Twin Peaks resident Laura Palmer is found murder… but this is not a procedural. In fact, this is as far away from a murder procedural that you can get, whilst also being a show that solves the mystery of someone’s murder. Like it’s contemporary Northern Exposure, Twin Peaks is set in a remote town in the northern U.S. that contains a large number of eccentrics (including the weird and wonderful Log Lady). Usually in shows like this there is an audience surrogate who arrives into town in order to remark on the weirdness (like Joel in Northern Exposure) we get Agent Cooper. This is someone who not only delights in the weirdness of the town, but brings his own relentless optimism and his leanings towards Eastern mysticism. It’s hard to overstate just how exceptionally good Kyle MacLachlan is as Agent Cooper. To think that he came into this off of Blue Velvet and Dune and was able to give such a different role must have been a huge surprise to Lynchian fans of the time. You can see shades of Agent Cooper in MacLachlan’s later recurring role as the Mayor of Portland in Portlandia, but it’s nothing compared to this excellent performance. In fact, with a few notable exceptions, there are so many outstanding people in Twin Peaks in both major and minor roles. Like the seeming majority of the internet, I absolutely adored Sherilyn Fenn as Audrey Horne – the complex daughter of local business magnate Ben Horne. Truly, every scene was made better with her inclusion. I also want to highlight deputy Andy Brennan, whose character could have been exhausting but ending up being an utter delight. The storylines and settings too, one the whole, are well executed and a source of surprise and many a satisfying twist. Sure one or two of these around the middle of season two didn’t quite live up to what came before (which was nearly any plotline involving the increasingly wet James) but I never felt the urge to stop watching. Now that I have finished season two, I wish I had paced myself a bit more. 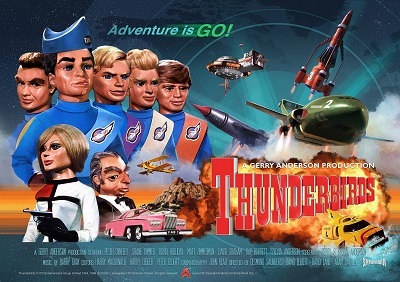 So, that’s another one of the big series crossed off – plus there’s still the revived third season, a movie and a whole bunch of other assorted extras to keep me occupied for a while. I was going to say that they’d help me get some answers after that complete mindscrew of a second season finale… but this is David Lynch and he’s never been one for offering closure. You really can’t get that much older than the progenitor of the television sitcom. Without The George Burns And Gracie Allen Show we wouldn’t have had I Love Lucy (which was pitched as Lucille Ball doing her own version of The George Burns And Gracie Allen Show) and the snowball of influence just carries on from there. 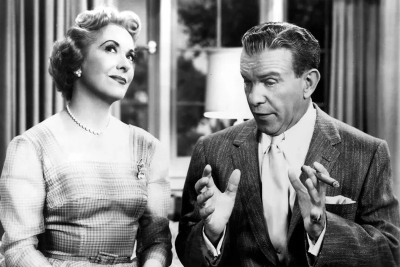 I’m not overstating it when I call this the mother of sitcoms, The George Burns And Gracie Allen Show was one of the first comedy shows on television that had a running narrative rather than being a collection of skits or sketches. It’s also interesting to see a sitcom from this time period that interweaves the main narrative with meta pieces of stand-up – much like in the early seasons of Seinfeld and in the one season wonder Mulaney. When watching this, it is worth remembering that this was written in the 1950s with all the civil rights issues that might entail. I mean, I haven’t seen anything in this that is even remotely racist but it’s very much: man goes to work, wife maintains the home. However, even with this handicap (when it comes to modern viewings) I still found it laugh out loud funny thanks to Gracie Allen. It should be enough to make you cringe a little bit, having Gracie Allen play a ditzy housewife, but she is excellent. She is able to play someone who is logically challenged and yet you never leave the show thinking that she’s stupid. Her portrayal of the fictional version of Gracie is incredibly knowing and the logical leaps that the character makes are usually quite intelligent, just not always intelligible. Most of the episodes of The George Burns And Gracie Allen Show are currently on YouTube and it’s worth giving this a go if you’re at all interested in seeing where a lot of modern day sitcoms are rooted. It’s slightly dated, but it’s still funny and that’s all you can ask for in a sitcom.